Gibbons hits the road with his most recent album, The Big Bad Blues! 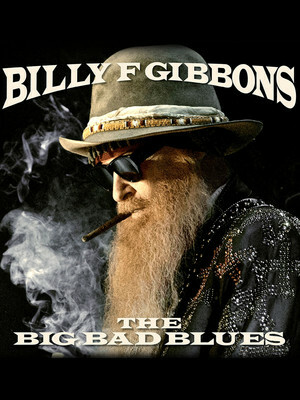 Billy Gibbons: The Big Bad Blues Tour! You're invited to witness the guitar slinging blues rock and roll icon doing what he does best, as he hits the road and brings his sophomore solo album, The Big Bad Blues, to fans across America. Make no mistake, though this solo trek will be up close and personal, it's not holding back and will still be just as fast and loud as his previous performances. Playing alongside Gibbons on the tour will be a backing band with a familiar face, namely ex-Guns N' Roses drummer Matt Sorum, who will be joined on the second guitar by Austin Hanks. Both Sorum and Hanks have contributed to tracks on the touring album. Sound good to you? 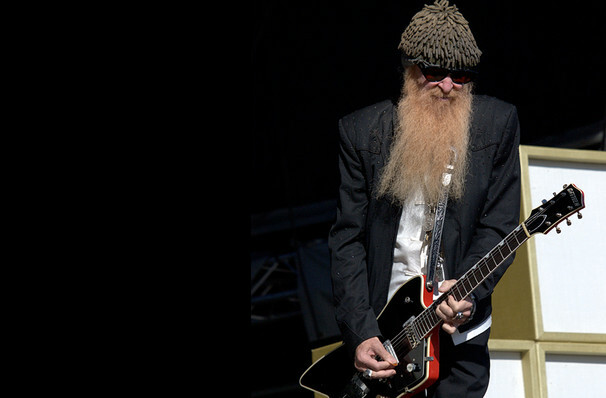 Share this page on social media and let your friends know about Billy Gibbons at Revention Music Center. Please note: The term Revention Music Center and/or Billy Gibbons as well as all associated graphics, logos, and/or other trademarks, tradenames or copyrights are the property of the Revention Music Center and/or Billy Gibbons and are used herein for factual descriptive purposes only. We are in no way associated with or authorized by the Revention Music Center and/or Billy Gibbons and neither that entity nor any of its affiliates have licensed or endorsed us to sell tickets, goods and or services in conjunction with their events.